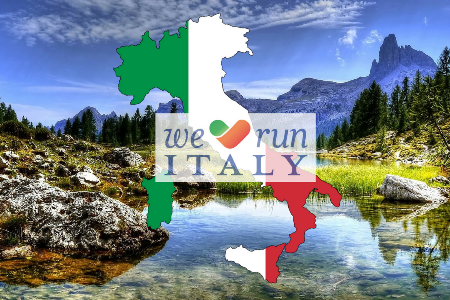 WRI will organize perfect running races in the most beautiful locations of Italy. WRI will principally cooperate with tour operators. WRI has been created thanks to approved experiences in the running sector and tourism (Born2Run). Qualified assistance by We Run Italy. Best relation quality – price. We Run Italy is property of the travel agency Melville Lufthansa City Center, founded in 1997. With its staff of 14 persons working in different sectors of the travel agency (leisure, business travel and meeting/incentives), Melville is active for over 10 years in the Running Universe with its own sports tour operator named Born2Run. Born2Run has a dream: the fusion of tourism and sports practice, putting together experience and proper priorities of the Tour Operator until every single runner each year will find a new and interesting destination, where to give vent to its passion. The best example is the mythical NEW YORK CITY MARATHON, the most famous and wanted “42 km” in the world (B2R is an official agent), the icing of the cake of a long list of scheduled races including Boston, Chicago, London, Berlin, Paris, Prague and many others less known maybe, but the same fascinating: Windsor Half Marathon, Marine Corps Marathon, Cyprus, Tromsö, Dublin and many more.